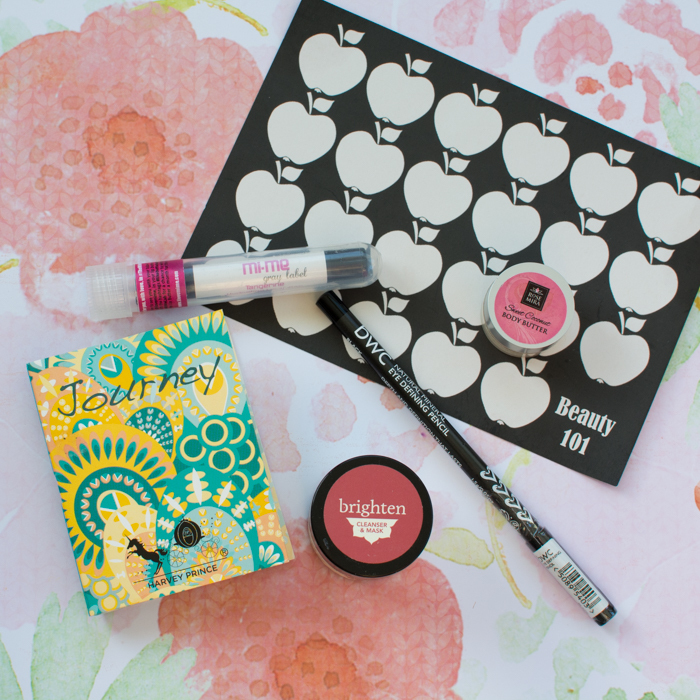 Beauty 101 is all about becoming your own beauty expert. This August we’re learning about vegan and cruelty-free eyeliner, face masks, fragrance, lip butters, and body butters. Description: Liner up! To give the illusion of full lashes, you need your eyeliner smooth and as close to your lashes as possible. Start by creating a small dotted line (work from inside corner to outside) and then connecting the dots using short, brief strokes. The shorter lines will help you create an even, non-bumpy line. We love BWC’s eyeliner because of its creamy application and everyday appeal. I love the tips! I used it on my water line and so far so good. Sometimes the more natural leaning products can bleed or grow Tammy Faye-style as the goes on. I’ve learned to use an eyeliner brush and set the eyeliner if needed. Description: Hey, glow getter! Before you cover your skin in this vitamin-rich mask, remember this: remove makeup, cleanse, exfoliate. Once your mask is on, let it sit for 15-20 minutes so that the active ingredients can soak into your skin, giving you major glow. Eeps, I didn’t cleanse or exfoliate my skin first. Just rinsed with water. Oh well. Different for a mask this one is a deep sandy red-orange color. I left the mask on for about 10 minutes as any longer and they can really dry out my skin. 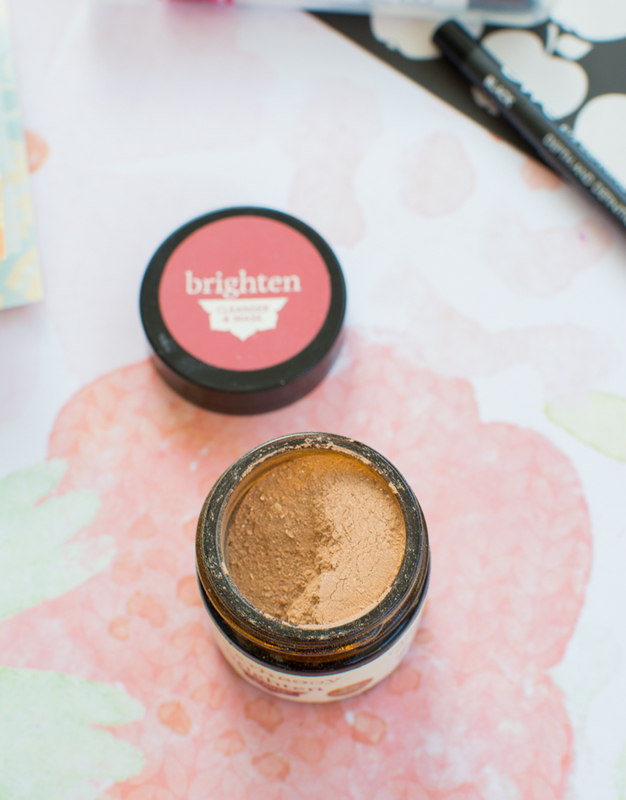 Brighten left my skin really glowy and rinsing off the bits was pretty easy too. On the side of the jar there are directions to turn it into a weekly mask by adding agave and coconut oil. Sounds luxurious! Description: Exotic. Awakening. Transformative. Let Harvey Prince take you on a journey with notes of Indonesian Clove Bud, Australian Sandalwood, Moroccan Rose, French Bergamot, Indian Tuberose, Japanese Orange Flower, Lebanese Cedarwood, Turkish Cyclamen, and South African Freesia. Tip: Store in a cool, dry place (i.e. not your humid bathroom or near any harsh lighting). Journey reminds me of something you’d buy at a department store. I don’t hate it, but I’m not sure if I love it. Description: Kiss, Kiss! How does one get beautiful lips, naturally? Stay well hydrated, exfoliate with a toothbrush once a week and moisturize regularly with Mi-Me Lip Butter. 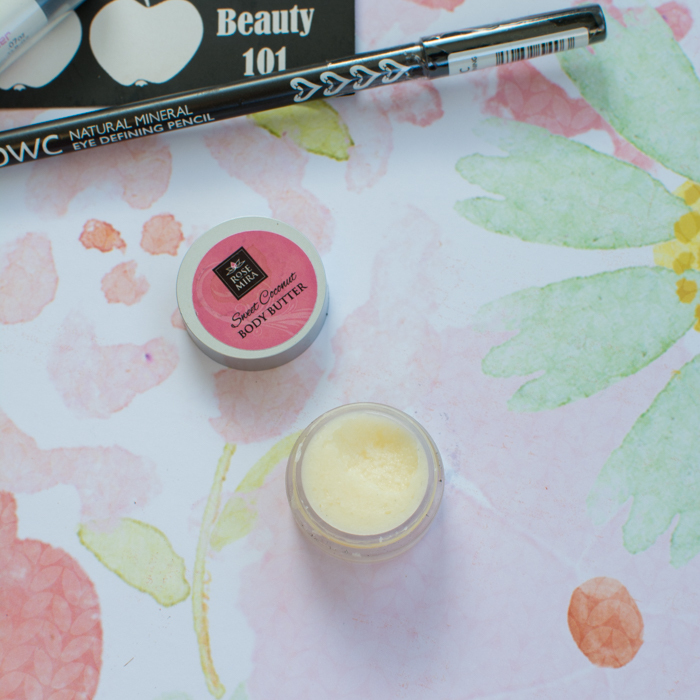 This yummy lip butter gives us long-lasting shine and moisture for plump, kissable lips. Muah! Ingredients: coconut oil, shea butter, mango butter, avocado butter, tucuma butter, murumuru butter, cupuacu butter, candelilla wax, vitamin e, and tangerine essential oil. I adore they way it looks with the little pellets melted into the base. I have no idea if that was intended or an oops in the manufacturing process. Don’t change! 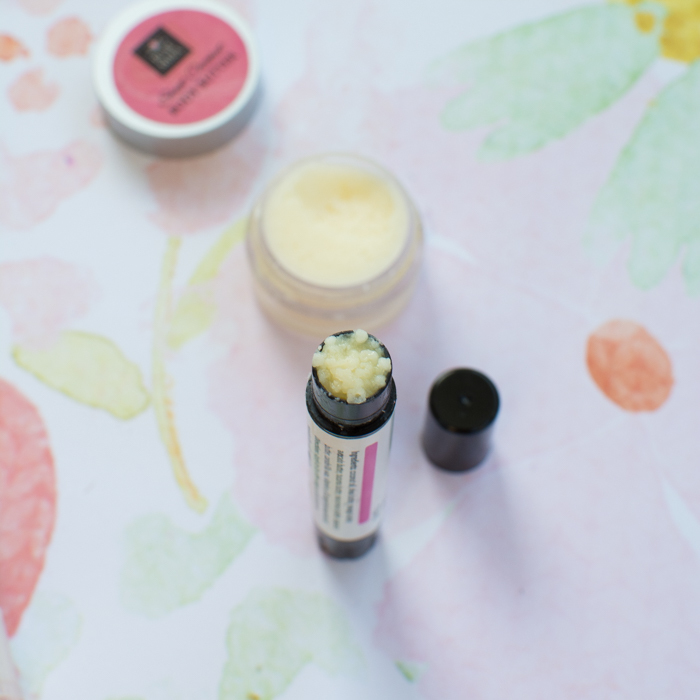 😍 Mi-Me’s hydrating lip butter is truly decadent, the natural oils just melt into the skin. This will be awesome come winter. Description: Rich, luxurious and deeply penetrating, this organic body butter is truly top-notch! To reap the benefits, pat (don’t rub) your legs dry after your shower. This will help your body’s ability to retain moisture in the skin so your butter can give you your softest skin ever. It’s a stiffer body butter, but softens quickly. It’s lightly citrus with strong notes of the coconut oil. Oil-based body butters are best applied after a shower.